A bright and airy space with wall to ceiling glass windows allowing for a view of outside and the downstairs open space. The room has 1 large table, seating up to 8 people at any one time. 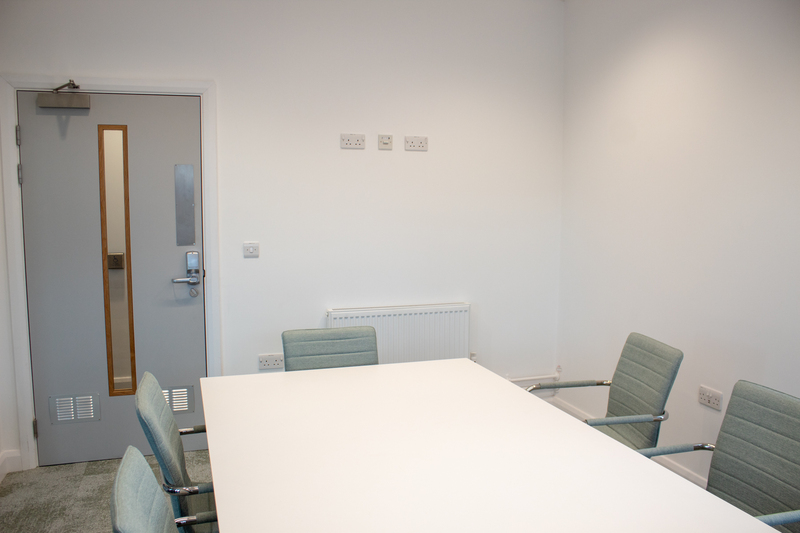 Plug sockets/ Guest WiFi/ AV equipment available.